You might find it helpful to add certain subproject-related fields to a task sheet or resource sheet. You can add the Project, Subproject File, and Subproject Read Only fields to a task sheet (see Figure 14-8). In addition, if you want to know which project a resource is associated with, add the Project field to the Resource Sheet. Figure 14-8. Add subproject-related fields to a table in the master project. To add a field, click the column heading to the right of where you want the new field to be inserted. Click Insert, Column. In the Field Name list, click the field you want. If you make a subproject read-only, and you add the Subproject Read Only column to a task sheet, you'll see that the subproject summary task is marked Yes, whereas the subtasks are marked No. However, they're all read-only. You can also sort, group, or filter tasks or resources by these fields. For more information about the ways you can view project data, see "Rearranging Your Project Information" on page 123. 1 In your master project, click Tools, Options and then click the Calculation tab. 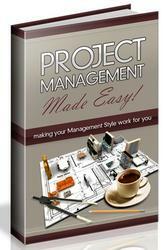 2 Clear the Inserted Projects Are Calculated Like Summary Tasks check box. This procedure results in a critical path being calculated for the master project independent of the subprojects. In addition, the critical path for each subproject is shown. a You can easily see the critical path(s) in the Tracking Gantt chart. You can review project information and statistics for a subproject in a master project. Doubleclick the subproject summary task. The Inserted Project Information dialog box appears. Click the Project Info button. The Project Information dialog box appears for the inserted project, showing the project start, finish, and status dates, as well as the name of the project calendar. To see overall project information for the inserted project—including the project start, finish, and cost—click the Statistics button in the Project Information dialog box.